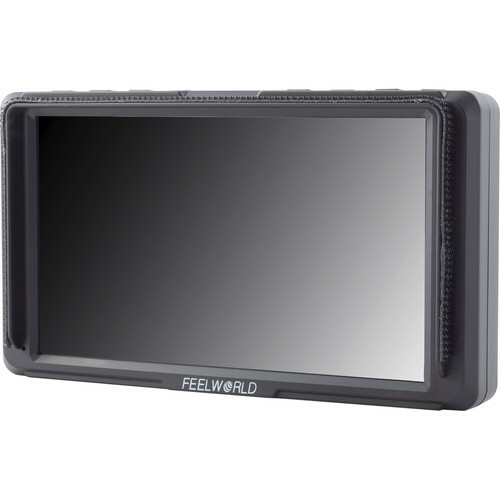 When your production is on the go, bring this lightweight, compact F5 5" Full HD HDMI On-Camera Monitor from FeelWorld which provides a bright 5" IPS LCD display, numerous advanced monitoring features, and support for up to 4K input. The F5 features a native 1920 x 1080p resolution, an 80° viewing angle, 450 cd/m² brightness, a contrast ratio of 1000:1, and supports up to 4096 x 2160p resolution via its HDMI input and output ports. Its advanced monitoring features include Rec. 709 color calibration, histogram, focus assist, false colors, zebra, zoom, image flip, and more. 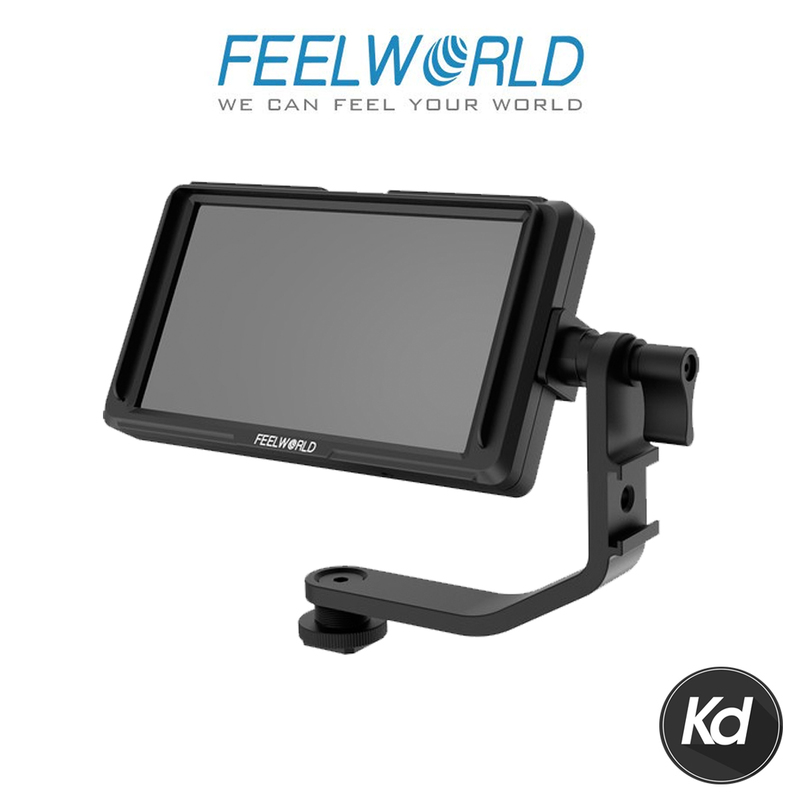 The monitor can be mounted via a 1/4"-20 thread on the side and bottom, or the included tilting arm can be used to mount it to a stabilizer or camera shoe mount. 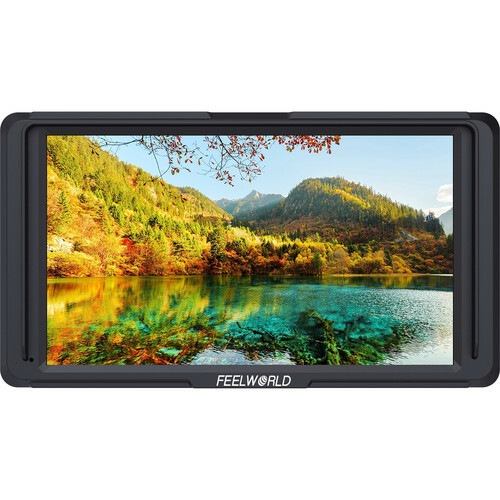 The F5 is powered by one F970 or LP-E6 battery using its built-in, dual-purpose battery mount. An 8.4 VDC barrel output can be used to power your DSLR or mirrorless camera. Batteries and a power supply are separately available. A micro-HDMI cable to connect your camera and a sun shade to protect the monitor from sunlight are also included. The F5's focus and exposure tools include focus peaking indicators (red, green, and blue) that highlight parts of the image that are in sharp focus. In addition, false color tools make it easy to properly set exposure. The false color tools work by highlighting specific color ranges of luminance with a solid color overlay. The F5 is equipped with an HDMI input and output, allowing for connection to 4K cameras and passthrough video. The monitor's 3.5mm stereo jack enables you to plug in headphones to monitor audio. An 8.4 VDC barrel output is also provided to power external equipment. The F5 features two standard 1/4"-20 mounting points (bottom and right side) for easy attachment to cameras and rigs, or mount it on top of your camera for use as an HD viewfinder. The monitor mounts to your camera using the included tilt arm via your camera's shoe mount. The tilt arm enables 180° of tilt for flexible positioning. A cold shoe on the tilt arm lets you secure equipment (such as a microphone, LED light, or wireless receiver) that would otherwise be displaced from the camera's accessory shoe. 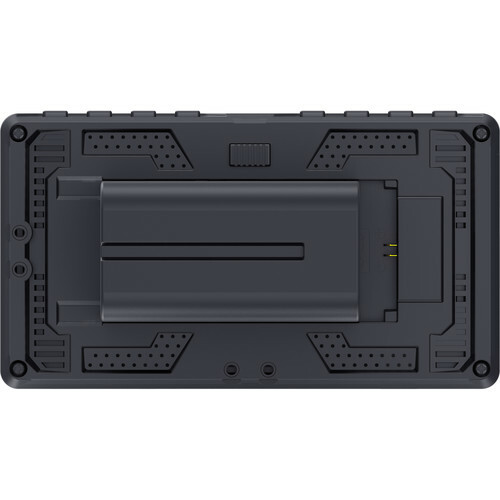 For power, there's a single battery plate on the back that supports either a F970 or LP-E6 battery (batteries available separately). There's also an 8.4 VDC output which can be used for powering your DSLR or mirrorless camera. When shooting in bright sunlight, the included sun shade provides shade to ensure an effective monitoring environment.